In the Northern Hemisphere where I live (Olympia, Washington of the USA) we are experiencing the Autumn Equinox today, but to remember the importance of integration and balance at the equinox, I want to acknowledge those in the Southern Hemisphere who are experiencing the Spring Equinox today. There are obvious seasonal as well as symbolic differences between a Spring and Autumn equinox, yet each do involve the theme of balancing the yin and yang- with Spring it is more about the yang, beginnings, cleansing, elimination, new growth and creativity, whereas with Autumn it is about entering more of a yin cycle, consolidating, communicating, gaining clarity, increasing productivity and study, while being more restful (Haas, 1981). 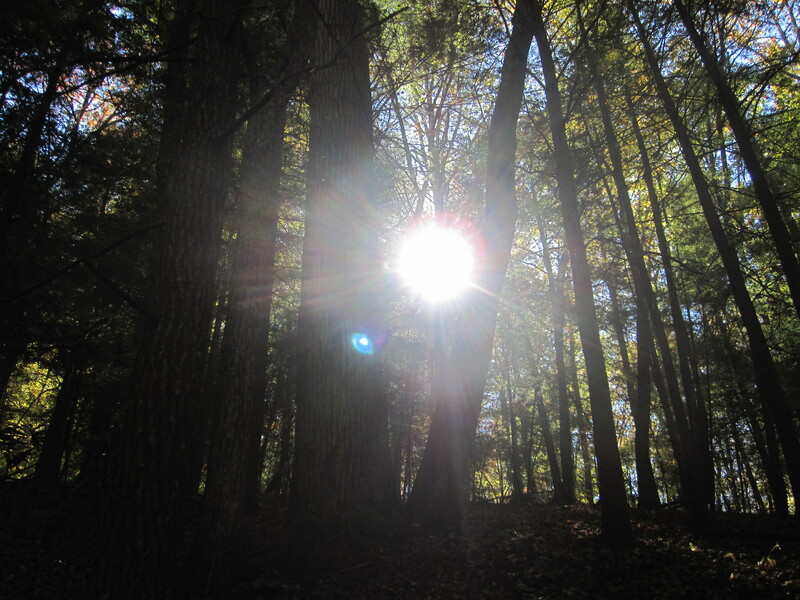 However, the fact that we are all experiencing an Equinox today is significant and brings its own unification, as the Sun is at the point of the celestial sphere where the ecliptic and the celestial equator meet once again, day and night will be equal, and likewise we have the opportunity to bring greater balance to our being and community around us- the themes of both Spring and Autumn involve creating balance in their own way. The theme of balance is especially important with this particular equinox being in the sign of Libra, the zodiac sign associated with balance. Libra, however, is a cardinal sign of initiating action and does not mean everything will be in balance- in fact, in Libra things can feel extreme and quite out of balance- yet the intention remains to find center again, re-calibrate and re-balance, and by going through extreme events and feelings, we enter a process of being able to find a more authentic and genuine balance point. The equinox today has signs that support setting a strong intention to find greater balance in our being by avoiding denial and take a piercing, honest look at ourselves and what habits and patterns are in need of modification. We will soon be entering an upcoming season of eclipses and dramatic changes, and so the more we can make a clearing at this time of what needs to be released, the better prepared we will be to respond in the moment to the upcoming changes that will be occurring. A major player in the potential shift available at this time is Pluto in Capricorn that just recently stationed direct. Pluto had been moving retrograde since April 12, 2013 when it stationed retrograde at 12 degrees of Capricorn. Pluto stationed retrograde last April less then a week after there was a conjunction between Mars and Venus, our masculine and feminine personal planets, at 20 degrees of Aries. Today at the equinox, Mars and Venus are now in their first quarter square of this cycle with Venus in Scorpio and Mars in Leo. 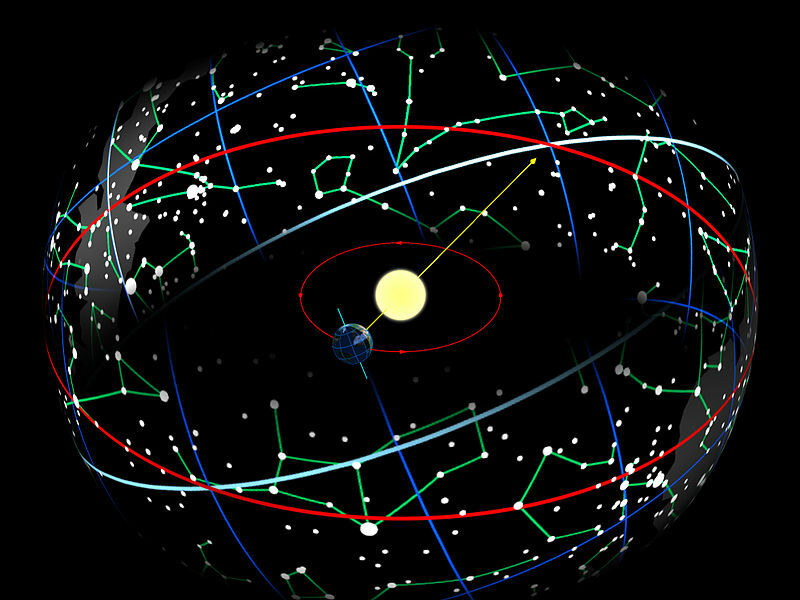 Mars and Venus have a cycle that last for about two years, in contrast to how our Sun and Moon cycle in roughly 29 days or so. This past April of 2013 was a time of a new cycle beginning in your own personal Mars and Venus patterns or archetypes- you can look at your birth chart for where 20 degrees of Aries is to see where this occurred in your chart, with what sorts of aspects. Just like the first quarter Moon square to the Sun is significant, so is the first quarter energy between Venus and Mars that is coming into manifestation now. At this point in the Venus and Mars cycle, we have gained greater awareness through our experiences in the past five months of our patterns in relationship associated with our inner feminine/masculine and what we may desire versus what we have manifested in reality. Venus in the sign of Scorpio, conjunct Saturn and the North Node of the Moon at this time, is an especially powerful evening star manifestation of the Goddess that is carrying more weight than Mars in Leo and can help facilitate us penetrating to the core of our current reality in relationships, love, and manifestation of whatever type of abundance we desire. At the first quarter square time, action is necessary to establish whatever Mars-Venus seed could have begun to be envisioned back in April of 2013. We will have from this equinox until the end of this next week to make the final harmonizing of our energy in this way before the exact Mars-Venus square hits around September 28. The approaching first quarter square at this equinox between Venus and Mars is even more significant inside the larger first quarter square between Pluto in Capricorn and Uranus in Aries we have been experiencing since 2012, as the next exact square between Pluto and Uranus will occur a month after the exact square between Mars and Venus. Pluto has now turned around direct to begin moving forward again, coming into the next exact square with Uranus in Aries in the early morning of November 1, 2013 here in the Pacific Northwest of the USA, which will actually for us be the night of Halloween or Samhain. 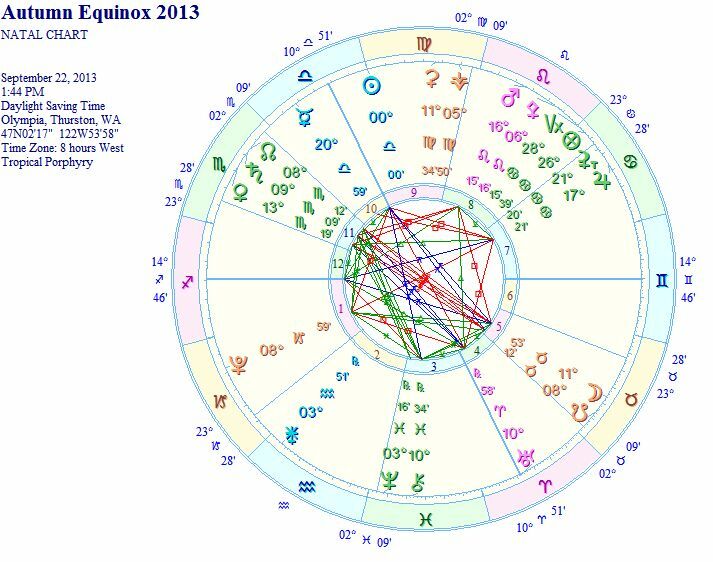 The equinox chart thus signifies a balancing of our Mars-Venus energies being especially relevant to the upcoming fourth exact square between Pluto and Uranus in this cycle. Since the number four is associated with our heart chakra, this seems to be very relevant and true. Thus, since April as Venus and Mars shifted into the first quarter square aspect we are beginning to sense at this equinox, Pluto has been moving retrograde. Pluto moving retrograde can be helpful for doing the deep work of becoming aware of our deepest patterns of desire and values so that we can come to a place of clearing and regeneration of a more authentic self. Pluto stationing direct at the equinox is powerful, and in combination with the Venus-Mars square, can be linked to us having become aware of what patterns associated with our relationships, as well as our own masculine and feminine energy and patterns, we wish to modify to create more of the life we want to live. At the Autumn Equinox time, since ancient times Pluto has been a powerful mythic figure associated with the reaping of an abundant harvest, as well as later with taking Persephone down into the underworld to help with the transition of souls. In contrast, at the Spring equinox in myth Pluto is able to let go of and release Persephone back into the upperworld to create more life; however, in both cases there is a clear intentional act taken by Pluto at the equinox. Similarly, we can make our own unique intention at this equinox supported by powerful astrological energy. Fittingly, with Pluto taking on significance at this equinox, Ceres is holding her own and embodying strong aspects of a different sort. As I have mentioned in previous posts, Demetra George has written about how in ancient Crete, Ceres was a Goddess associated with the Corn Priestess who took part in a sacred marriage with her lover and gave birth to Plutus, the god of wealth coming from the earth. These ancient connections between the harvest of Autumn and wealth, or to shift to the Spring equinox, with the seeding of the coming harvest and wealth, connect with our modern focus on resources for our own survival, whether we are living a more Earth-based lifestyle in connection with resources we are growing from the Earth or a a less Earth-based lifestyle in which we are focused on working a job to make money to buy processed food from a grocery store. At this 2013 equinox Ceres is paying a lot of attention to Chiron, and she is the key point of a Grand Earth trine between herself in Virgo, Pluto in Capricorn, and the Moon and the South Node of the Moon in Taurus. The trine between Ceres and Pluto can correspond with an opportunity to become more productive in our lives if we are doing the deep Pluto work referenced earlier in this article. However, to bring the real production generator, the Goddess Ceres, into our life at this time, we have some additional work to do if we want to more harmoniously access her trine with Pluto and the Moon in Taurus. 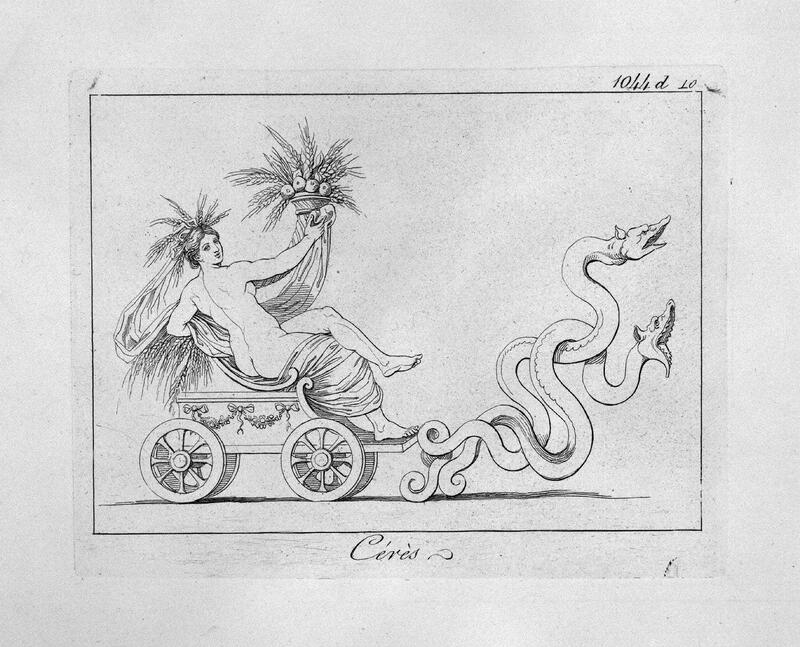 Ceres is moving direct in Virgo, a sign that pleases her as she is the literal symbol used by modern astrologers for Virgo. 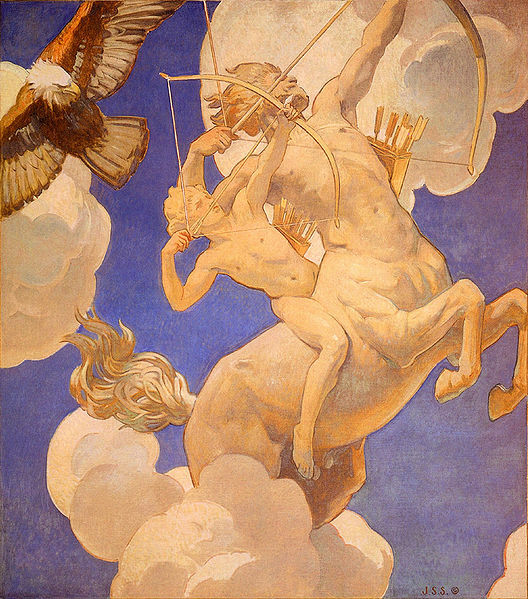 However, to fully activate Ceres into her highest potential at this time will require us to take heroic strides forward through the wounding experiences of this recent time period, as Chiron is retrograde in Pisces in opposition to Ceres at the equinox, while also being in a wide conjunction again with Neptune in Pisces. From the perspective of Ceres, this opposition with Chiron connects strongly with the lesson from her mythic story of losing Persephone to the underworld and becoming so anguished and emotionally overwhelmed at her great loss, entered a period in which she ended her productivity and refused to create life and new harvest on Earth. She also drifted into coping strategies such as opiate use, and lost became further wounded and oppressed by Poseidon, who raped her. Ceres was ultimately able to begin a process of purification, however, by bathing in a flowing river, which to me is a symbol of her beginning to process of opening herself to the constant changes of life and the loss we can experience in the process. This lesson to be open to the constant flux of life is also a key point in Ceres fully accessing her trine with the Moon in Taurus at the equinox. This is because the Moon is conjunct the South Node of the Moon, which can indicate more of an emotional connection to past patterns of coping because they are comfortable more so than truly effective or productive given changing circumstances. This is further emphasized with the Moon and South Node being in Taurus, a sign that can be more stubborn about holding onto past patterns for a sense of stability. Chiron retrograde in a wide conjunction with Neptune in Pisces could coincide with great emotional wounding and spiritual crises we could have been experiencing, but at the same time carries a potential of incredibly deep healing of past wounds that can then be integrated back into a productive capacity in which we draw upon our newfound strength. Ceres in Virgo in combination with Chiron in Pisces embodies extraordinary potential. From the perspective of Chiron, he has been moving retrograde back toward Neptune in Pisces again, and at the same time has become involved in a Grand Water trine that will be continuing for some time. In August he was part of a trine with Saturn and Jupiter, and though his trine with Jupiter is wider now, he is still in range of a trine with Saturn and Jupiter. However, Chiron is also in trine with Venus, Saturn, and the North Node in Scorpio, and more exactly with the mean node of Black Moon Lilith in Cancer at the time of the equinox than Jupiter. Interestingly, by the time Pluto stations retrograde again in Capricorn in April of 2014, Chiron and Jupiter will again be closely in trine. As a result, Chiron is in league with the Dark Goddesses and is helping Ceres regain her original seat as the Goddess of the Underworld, like Ereshkigal in the myth of Inanna, instead of the later masculine takeover of placing Pluto in charge of the underworld. The Great Mother was not only the Goddess of Life but also Death, and Chiron at this time is presenting us with an opportunity to integrate the whole portrait of the Great Goddess, especially being in trine to the conjunction of Venus, Saturn, and the North Node in Scorpio. Chiron is often called the wounded healer, and we may in fact be experiencing incredible wounds at this time. However, he is also a great teacher and cultivator of our own unique heroic qualities, and so whatever has been occurring in our lives is actually an opportunity for us to take a stand at this time and courageously face the actual nature of our current reality. If we stand in our own integrity at this time, it will honor and work well with the combination of Saturn with Venus and the North Node of the Moon. Since Black Moon Lilith is often referred to as a resolution point of the rejected feminine, her mean node being in trine to both Chiron in Pisces and the Venus-Saturn-North Node conjunction in Scorpio indicates a potential opening to integrate the rejected and oppressed side of our feminine energy back into our psyche. Not that this is an easy task, but if we are acting from the hurt and wounded parts of our rejected feminine, with the square from Mars in Leo we could become involved in some serious negative energy and fights in our personal environment. This equinox is a perfect time to make an intention to purify the toxicity that come from the rejected feminine aspects of our psyche. Since the Black Moon Lilith point relates to the orbit of the Moon, it is interesting that the South Node of the Moon in Taurus is conjunct the Moon in Taurus at the time of the equinox- in trine with Ceres in Virgo, and in sextile to Chiron in Pisces. If we can avoid the seething anger that can come from Taurus, especially when Taurus is focused on past emotional wounding or past emotional patterns connected with negative energy, there can be a potentially very positive use of this energy. To me, it would be more of a Taurus focus on what we can cultivate and nurture for ourselves at this time of the equinox. If we can cut out and release the negative past patterns, which can be facilitated by Venus and Saturn in Scorpio being opposite the Taurus Moon and South Node of the Moon at this time, then we can draw from our past patterns in a manner that will help us draw on our strengths and gifts in the cultivation of our personal harvest. Whether this is symbolically a planting time or a reaping time for you in your own personal cycles, the use of lunar Taurus energy can be a patient and helpful guide to stay in touch with what is truly bringing pleasure to your body and being, so that you can as a result begin to bring more joy into your life. Finally, the other planetary player I want to mention is Mercury in Libra, who has been moving full speed ahead at 20 Libra, but is currently beginning to prepare to station retrograde in mid-October in the sign of Scorpio. 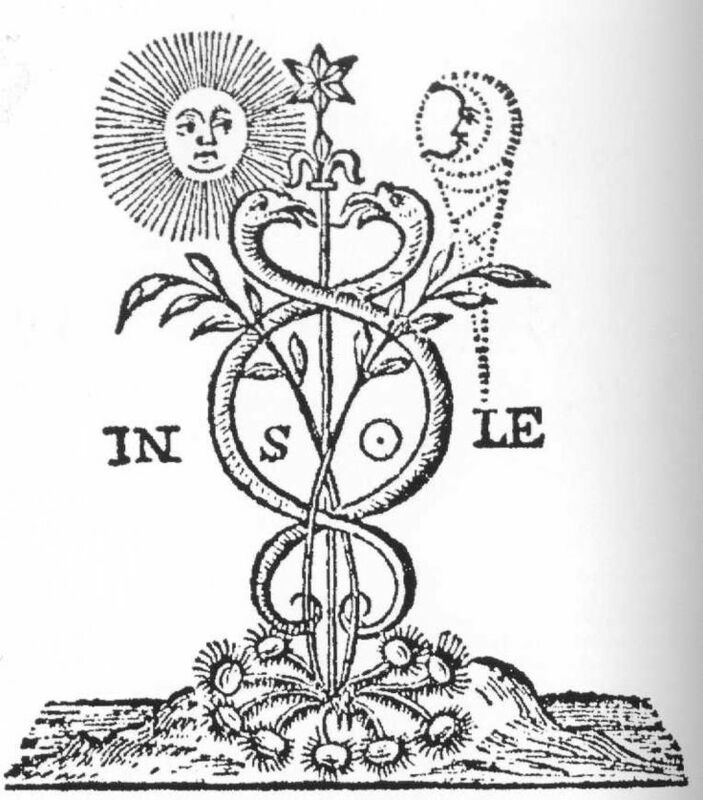 At the equinox, however, Mercury is at the midpoint between the Sun in Libra and Saturn and Venus in Scorpio, as well as being in a sextile to Mars in Leo. 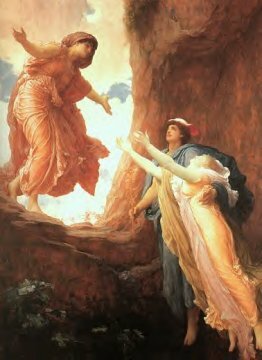 In the Ceres and Persephone myth I have been referencing, it is Mercury who descends to the underworld in order to ascend again with Persephone and return her to her mother Ceres. Mercury is strongly in the sign of Libra at this Libra Equinox, and so the way we are perceiving reality as well as choosing to communicate with others will be vital in our ability to cultivate greater balance in our lives. With so many intense astrological aspects, we will surely be tested in this manner, and most likely we will make some mistakes in communication that can lead to some extreme arguments and confrontations at this time. However, if we are taking responsibility for our communication and perceptions, and make sure to learn from our mistakes and make amends in our relationships, we can help cultivate greater balance within ourselves as well as within our outer relationships. Black Moon Lilith is again a player with Mercury, but this time it is the true node of Black Moon Lilith that is conjunct Jupiter and in a tight square with Mercury in Libra at the time of the equinox. The way our feminine nature has been spurned or rejected in the past could be behind a lot of conflict and arguments we have at this time. However, at the same time as we get in touch with this energy it can also could be a catalyst for difficulty but powerful conversations and awareness of what is at the root between the conflict of our masculine and feminine within, how this inner conflict of our nature can create difficulties for ourselves in our outer relationships, as well as how the masculine and feminine are in relationship in the collective. The collective conflict between the masculine and feminine is obviously an enormous problem at this time, but there is an opportunity at this time to gain perhaps an incremental insight into the nature of this conflict. The current square between Mercury in Libra with Jupiter in Cancer is another level to the deep questioning of our personal beliefs some of us may have been experiencing recently. If we have not been questioning our beliefs, we may instead have been getting into debates or arguments associated with beliefs we have that we do not like to question. Earlier this past Summer, there was and opposition between Jupiter in Cancer and Pluto in Capricorn that would have initiated this process. By the time Pluto stations retrograde again next April of 2014, Jupiter will have gone through a retrograde motion that will bring it back into an exact opposition with Pluto, so we are only at the beginning of this process. Evolution, of course, was in Darwin’s day a shattering and heretical challenge to the simplistic, literalistic biblical view. First, the theory of evolution holds that the world is much, much older than the Bible says. Second, humans, animals, plants, bacteria, and all other creatures are a single continuum of life. Humans are not something set apart. We are animals, and we emerged from the same natural processes by which other life-forms evolved. From the perspective of earth-based spirituality, those insights were a vast improvement over literalistic interpretations of the Bible. Evolution restored dynamism to the universe, brought it alive as a growing, changing, interacting web of relationships. Darwin himself was a great observer, embodying the permacultural principle of “thoughtful and protracted observation” more than a century before permaculture was formulated. He looked at the plants and animals and birds around him in the far-flung places of the world he traveled, and he let himself ask, “I wonder . . .”: “I wonder how that tortoise got to be the way it is, how differences between those similar plants arose, what forces produced the beak on that bird.” He theorized that environmental pressures and constraints select the individuals most fitted to a given environment from a range of genetic variations. Those individuals succeed best in the competition for food and scarce resources. They are also most likely to reproduce, and so they pass on their adaptations. His theory of evolution and natural selection was a brilliant example of relational thinking, focusing not just on individuals or species as separate, isolated elements, but on the whole pattern of interactions, exchanges, and effects of living communities as a whole. But at the same time that Darwin was researching and writing, industrial capitalism was growing and consolidating its power, and looking for an ideology to justify ruthless exploitation of the poor by the rich. “Social Darwinism” a simplistic reformulation of Darwin’s theory, turned natural selection into “survival of the fittest.” The best win out and, by extension, the “winners” must be the best- and therefore deserving of their rewards. “Losers” are by definition inferior, maladapted, and deserving of their demise. To suggest that the winners owe anything to the losers is to interfere with nature and risk weakening the race. This misinterpretation of Darwin’s theory was a secular reformulation of earlier religious doctrines of the “elect.” It was also a perfect rationale for cutthroat capitalism, in both the nineteenth century and the Reagan/Bush era. Competition is the driving force of progress in nature and, by extension, human society. The more worthy win out in time, and this, in the long run, is good for the species and the whole. Success is its own justification, and what’s good for big transnationals is good for the U.S.A. There is a different view of evolution, one that better serves the world-view of earth-based spirituality. We might call it Gaian evolution, after the Gaia theory developed by James Lovelock and Lynn Margulis. Gaian evolution is not so much a counter to Darwin as a shift in focus from the individual to the ecosystem, the whole. The earth functions like a living being, and the biosphere, the world community of life-forms, changes its environment as it is changed by it. The redwood tree does not evolve as a separated species; rather, the forest as a whole evolves, the interwoven lives of redwood and tanoak, huckleberry and salal, the mycorrhizal fungi in the soil below and the lichens in the canopy where the marbled murrelets nest. None of these creatures adapts alone, in isolation from each other- they coevolve as Forest-Being, in an interdependent dance that balances competition and cooperation. Individuals and species survive when their activities benefit the whole as well as the parts. Evolution becomes the story of how the planet herself comes alive. I have taken part in the spiral dance with Starhawk before, and while that isn’t possible for me to do at this equinox, I hope that all of do our own sort of personal spiral dance to help us balance ourselves to a greater extent, as well as interdependently then help facilitate greater balance in the Earth. Blessed be. Haas, Elson. (1981). Staying Healthy with the Seasons. Celestial Arts. Starhawk. (2005). The Earth Path. Harper. Another amazing post. Thank you!